The Khyber Pakhtunkhwa (KP) government on Wednesday declared emergency in the hospitals of five districts, including Dir, Malakand, Swabi, Buner and Shangla as one person was detected with dengue in Swabi district. According to details, the patient was shifted to Islamabad Hospital where his condition is said to be stable. KP Health Minister Shaukat Yousafzai told Pakistan Today that special wards and beds were being established in all District Headquarter and main hospitals of these five districts, adding that the doctors and paramedical staff were on high alert and medicines and other supplies were being provided to the hospitals on an emergency basis. 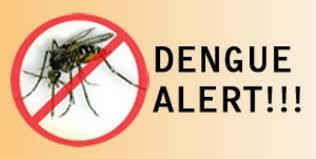 The minister said thatc rrently the number of dengue patients in the province ranged from 700 to 800. Many of them had recovered and were discharged from hospital, he said, adding that so far around 150 hospital beds were occupied by dengue patients in in Saidu Sharif Group of Hospitals. “Laboratory testing for suspected dengue patients is being done throughout Swat valley,” he said. Doctors in Swat confirmed shifting one dengue patient to Peshawar Hospital.The government has already declared emergency in all hospitals of Peshawar. Khyber Teaching Hospital Chief Executive Dr Omar Ayub Khan told Pakistan Today that all arrangements for accommodating and treating the dengue patients were finalised. Doctors in Saidu Sharif Group of Hospitals said five more doctors had arrived in Swat from Experts from Khyber Medical University, Peshawar and a seven-member delegation of doctors from Punjab is already present in Swat to combat the dengue outbreak.